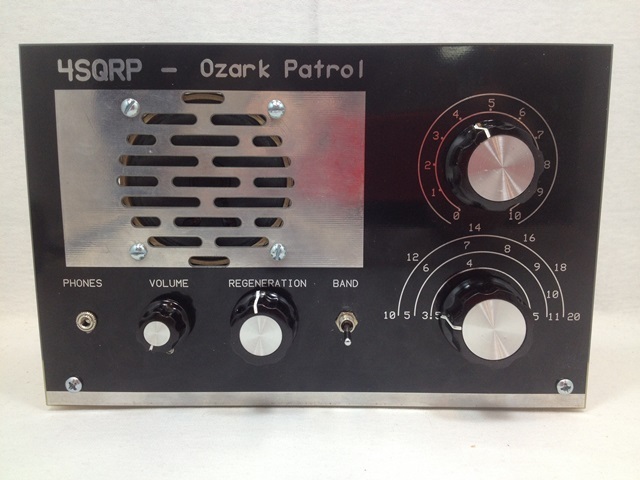 The Ozark Patrol is a simple, straightforward kit, designed with beginners in mind. The kit is a through-hole design, which is to say, with no surface-mounted parts. All of the component values and reference numbers are silk-screened on the board to indicate each part’s location, making for truly quick and fool-proof assembly. This entry was posted in Kits, People and tagged David Cripe NM0S, NM0S. Bookmark the permalink.